Archaeology is a term defined as, “the study of cultures and behavior of the primitive human races by means of remnants of the buildings, objects and other artifacts.” Archaeologist is a person who specializes in the field of archaeology. It is an interesting academic field that enables us to understand the ancient cultures, their lives, their living conditions etc. Archaeology attempts to correlate the primitive or ancient cultures to the present ones. Archaeologists study the remnants of the ancient cultures in order to understand lives of ancient human races. There studies usually encircle the remnants found in the form of fossils or human artifacts such as tools, jewelries, crafts etc on or under the surface of the earth. Archaeologists collect these evidences and work on each of them closely to interpret the life of past people. Archaeometry: It is also referred to as archaeological science. It focuses on the study of the archaeology. It involves application of scientific methods and techniques such as radiocarbon dating, dendrochronology, mathematical methods, microscopes, environmental studies, remote- sensing and artifact analysis. Classical Archaeology: Classical archaeology is the type of archaeology that deals with most civilized classical cultures of the world, i.e. the Greek and the Roman civilizations. 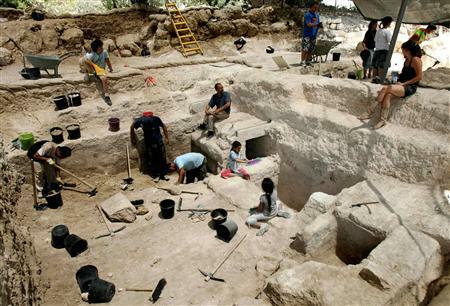 Archaeologists examine and analyze the classical history of these civilizations which is spread over 2,000 years. Athens and Rome are the major sites to analyze and study the two popular ancient civilizations. Ethno-Archaeology: It is the branch of archaeology that deals with analyzing and finding the aspects from the past that can be connected to the present day life. Ethno-archaeology is based on the anthropology and anthropological theories. For instance, archaeologists compare the hunter gatherer groups of present time to the ancient hunter-gatherers and realize that they both share some common traits. Environmental Archaeology: As it is obvious from the name that environmental archaeology deals with the study of the environment with the help of archaeological principles. The focus of study is on soil science, pollens, sediments, diatoms and several other archaeological factors. It involves laboratory work and experiments. Historical Archaeology: Historical archaeology involves the study of historical sites, artifacts and any other historical evidence that can provide help in analyzing the different aspects related to them. It usually focuses on the written records left by the ancient races. Archaeologists collect important clues and historical documents that help them to arrange the cultural chronology of the ancient cultures. Archaeologists are aware of the fact that historical documents or records may not provide the correction information so they expand their area of study to explore the history to ensure precision of analysis. Pseudo- Archaeology: Pseudo-archaeology is another type of archaeology that takes into consideration the real and imagined proofs to study the ancient cultures. It is a non-scientific approach that normally collects the evidences giving information about the lost continents such as Mu and Atlantis. Underwater Archaeology: It is a type of archaeology that deals with the proofs and evidences found under the water. For instance, archaeologists collect proofs regarding shipwrecks, water-buried cities, and certain other swamped archaeological sites. Archaeologists working under this sub-discipline usually collect proofs from underwater making use of excavating tools. Above mentioned are some of the different types or sub-disciplines of archaeology. In addition to them, there are certain other branches of archaeology that deal with the upkeep and supervision of cultural resources, world heritage, historical monuments, artifacts and other related archaeological sites. Archaeology is broader term that covers several different areas. 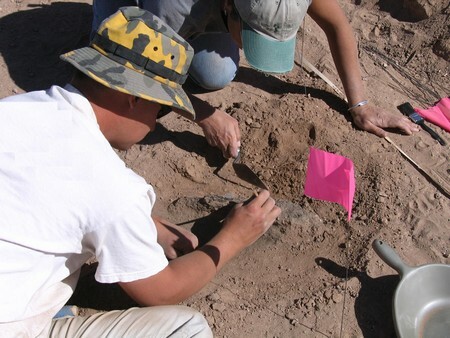 Those who study archeology can work as regional archaeologists, research archaeologists, collections manager, archaeological surveyors, and in academic positions.